Obituary for Helen L. (Huff) Wertz | Knight-Confer Funeral Home, Inc.
Helen L. Wertz, 90, of Willow Street and formerly of Duboistown, passed away Wednesday, April 3, 2019 at Quarryville Presbyterian Retirement Community. Helen was preceded in death by her loving husband, Richard H. Wertz, on June 16, 2003. Born December 3, 1928 in Hanover, she was a daughter of the late Milton and Annie (Hull) Huff. 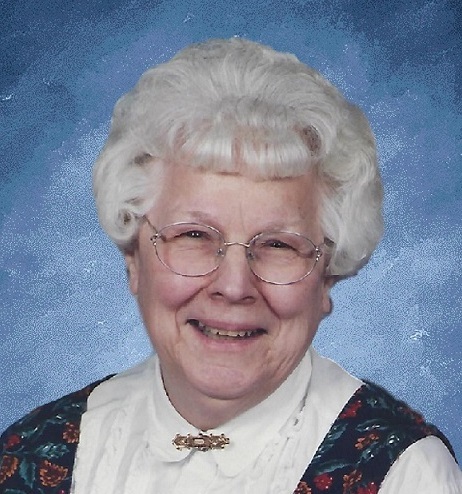 Helen was a member of Buchanan Baptist Church, for over 30 years. She was very active in the Ladies Aid group. Helen worked as a registered nurse and could often be found gardening and enjoying the company of her cats. Most of all, she loved spending time with her family. Surviving are her five children, Lee R. Wertz (Tammy) of Bellefont, Lois M. Bos (Wayne) of Red Deer, Alberta, Canada, Paula J. Emmons (Mark) of Coweta, OK, Sue A. Frey (Jeffrey) of Willow Street, and Terri L. Hollingsworth (Brian) of Kalispell, MT, 11 grandchildren; Seth Wertz, Nathanial Wertz, Timothy Wertz, Naomi Hanna, Sarah Ray, Melissa Emmons, Katye Emmons, Ross Frey, Clara Frey, Anna Hollingsworth, and William Hollingsworth, 10 great-grandchildren; a brother Harold Huff (Miriam) of Abbotstown, several nieces, and family friend, Bob Snell of Denver, CO.
A funeral service to honor the life of Helen will be held at 11 a.m., Wednesday, April 10, at Buchanan Baptist Church, 3240 Grimesville Road, Williamsport. Burial will follow in Buchanan Cemetery. A viewing will be held from 10 a.m until time of service on Wednesday at Buchanan Baptist. Memorial contributes may be made in Helen's name to the Buchanan Baptist Church c/o Ladies Aid, 3240 Grimesville Road, Williamsport, PA 17701 or Ethnos360 Wayumi, (formerly New Tribes Mission) 241 Old Forge Hill Rd, Jersey Shore, PA 17740.